Each of these activities needs to have the proper lighting. This post will help you select the proper lighting and position it correctly for the best master bedroom lighting. Laying out the right outfit for the day can be tricky if you do not have adequate lighting to see by. You want the colors in your fabrics to show true and the right lamp to maintain the true colors of the fabrics is a must. LED lighting has become very popular, but one of the tricky parts to selecting a LED lamp is selecting the right color. You want to select a LED lamp with a CRI (Color Rendering Index) of at least 90. If the CRI is under 90 it will not render the fabric’s colors correctly, which could be disastrous when wanting to present yourself for the day. Another measurement I use to create the atmosphere of a space is the Kelvin temperature. I recommend a Kelvin temperature for residential interiors to be between 2700K – 3000K. If you go below 2700K the room materials turn muddy and if you go above 3000K you start to create a cold atmosphere like what you might find in an operating room. You want to position this lighting where you will be viewing your clothes selection and you want it dispersed evenly. If the lighting is unbalanced it may affect the way you see patterns and colors. With the layered lighting concept you can turn these lights on for this specific task, that way you will not be disturbed when you want to just relax by too much light hitting your eyes. Reading is another task that is performed in the bedroom. Some people read in bed while others may have a reading chair in their master bedroom. The important thing is that you have a good light to read by. Bedside reading lamps need to be a true reading lamp and not a table lamp with a shade. You want a lamp that you can adjust to your comfort. 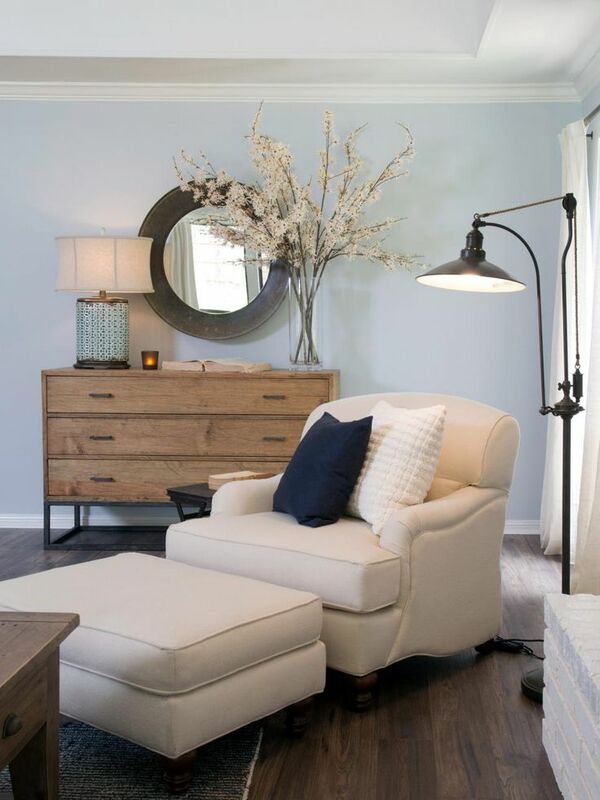 If you have a reading chair in your master bedroom and that is where you will be reading you will need an adjustable light with enough light output to read by. I do not like a master bedroom that the only source of lighting is coming from the ceiling. 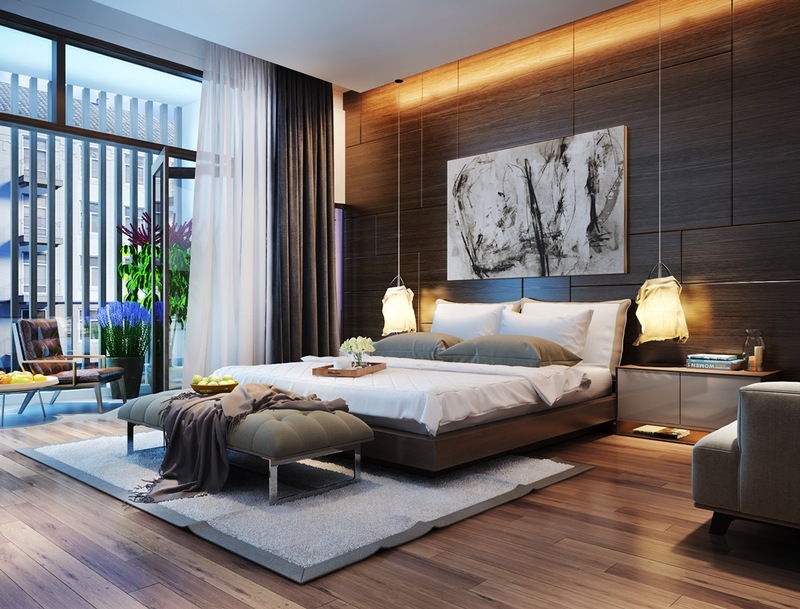 This type of lighting is very annoying when you just want a restful atmosphere in your master bedroom. I recommend ambient lighting for rest time and this can be done with decorative lighting or lighting at walls.